Gold refinery. 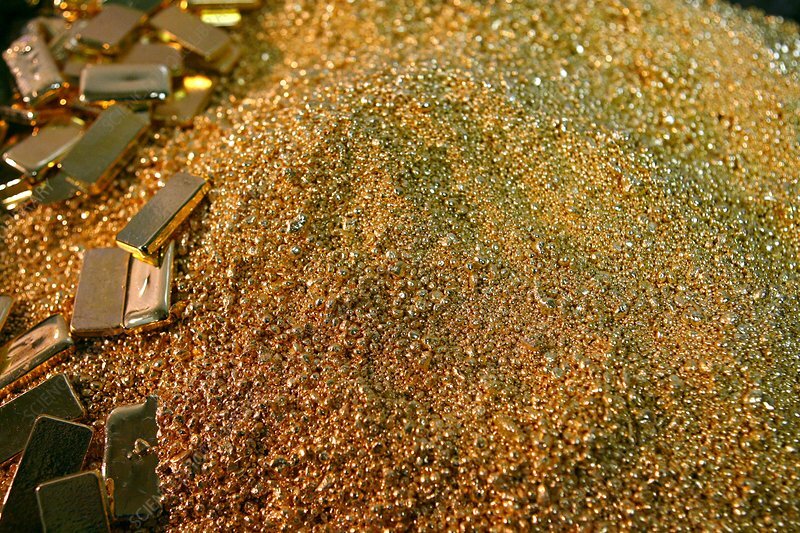 Mound of 24 karat gold at a refinery. The rejected gold bars (left) will be re-melted and used again. Photographed in Novosibirsk, Russia.